In the midst of one of the most disappointing Twins seasons in memory, it's natural to look around for something, anything, to explain or distract from what promises to be a long, hard campaign. On perhaps the most beautiful day Minnesotans have seen in 2016, fans of the local ball club were treated to sunshine, cold beer and a dream-like state in which, we we had gone almost 48 whole hours without a loss. It's been a hard fall for me to write in these spaces. Every evening I try to sit down to write, I find a dozen other things to do. There are papers to grade and recommendations to submit and people to actually be married to. So while I love to write, and even though I want to write, it slips through my fingers more often than I like. For the last week a great many Twins fans have been fiercely debating the fate of top prospect Byron Buxton. As the most prominent minor leaguer for the local nine since Joe Mauer, Buxton has been tremendously appealing to fans from Apple Valley to Zumbrota, particularly as the Twins scramble to hold on to one of the AL Wild Cards. 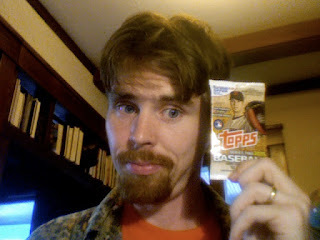 Every year, I treat myself to one pack of baseball cards. I've always enjoyed recapturing the glee, the confusion and the memories of stale bubble gum. For the first time in 5 years the Twins are buyers at the deadline, and with the Mariners in town and the Twitter fanbase on fire, I thought it would be fun to to look back at the last big Twins trade that never happened and imagine what it would be like if the Twins had acquired Cliff Lee from the Mariners 5 years ago.